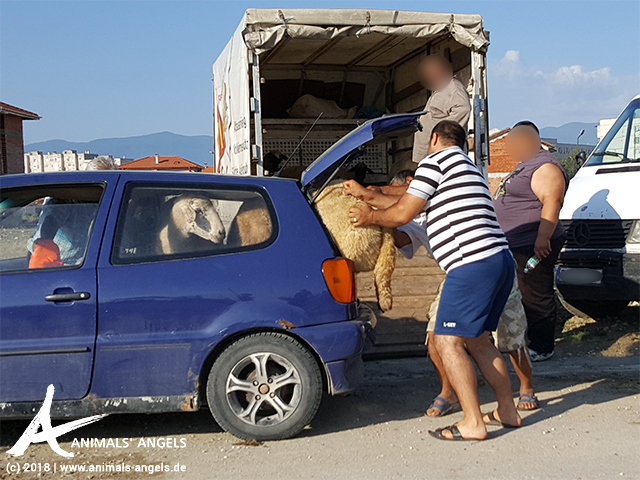 01-09-2018 Animal Markets Bulgaria Created by Animals' Angels e. V.
After numerous complaints of Animals' Angels, the Bulgarian chief veterinarian has finally promised to take action at national animal markets. Among other things, he wants to improve veterinary controls and ensure that sick or injured animals are no longer admitted. In addition, the animals will be provided with water and bedding, and animal welfare training for the traders will take place. We will, of course, continue to monitor whether the Bulgarian authorities keep their promises. Sale of sick and injured animals. Since 2013, we have been contacting the relevant authorities several times, writing complaints and attending meetings in Sofia and at local level. And again and again, we were on-site at the markets (most recently in March 2018) often under difficult conditions. In order to build up more pressure, we recently contacted Bulgarian media.